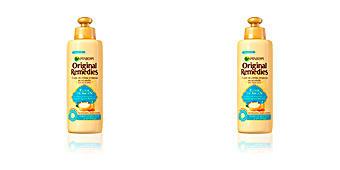 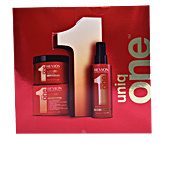 UNIQ ONE LOTUS All in One Hair Treatment by Revlon. 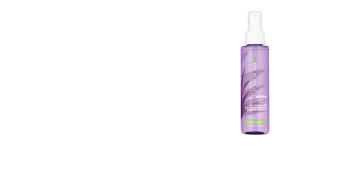 A hair spray treatment that does not require rinsing and offers 10 benefits for our hair to look healthy, shiny and resistant. 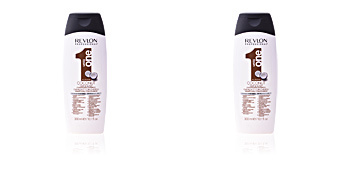 ·Repairs hair with signs of dryness. 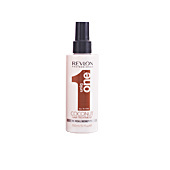 ·Provides extra shine and controls frizz. 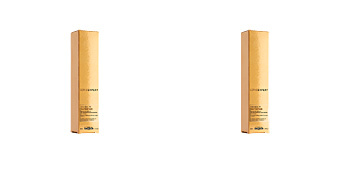 ·It has UV protection filters to maintain the colour. 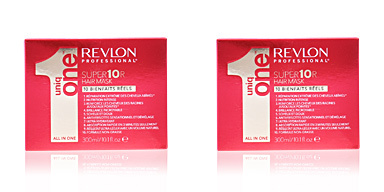 ·Facilitates brushing and the use of irons and tweezers. 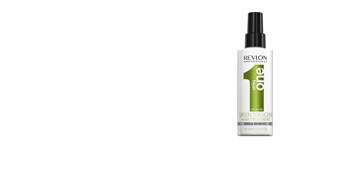 ·Repairs and prevents split ends. 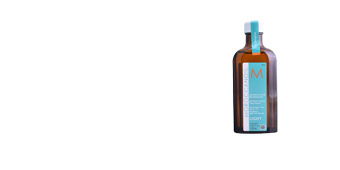 ·It gives us body and volume. 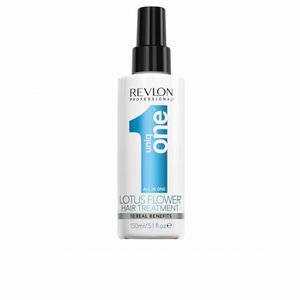 In addition, its formula has been scented with a refreshing, pure fragrance inspired by the scent of the lotus flower, which combines citrus, floral and warm-background sparkles. 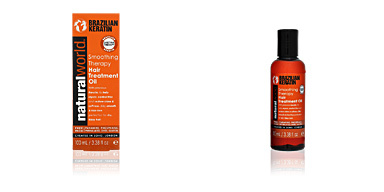 This treatment is indicated for the care, repair and improvement of all types of hair. 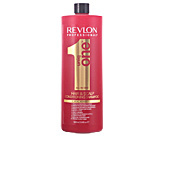 If the product is applied to damp hair, spray it about 20 cm away, then untangle it and finish with the usual style (hairdryer, straightener, etc.). 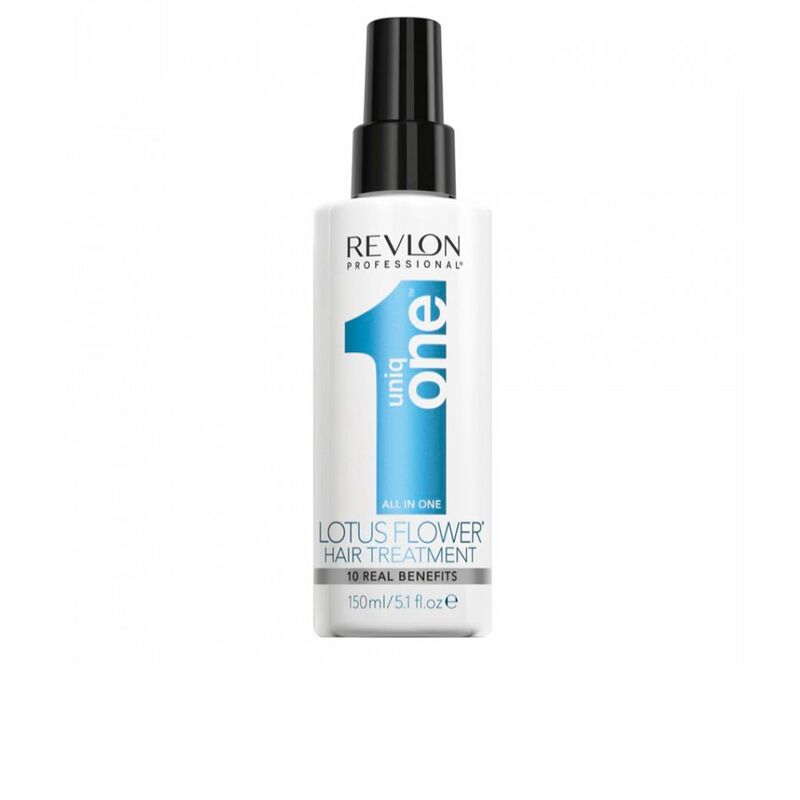 If, on the other hand, you apply it on dry hair, spray the product on the palm of your hand and apply it on the hair from the middle to the ends.